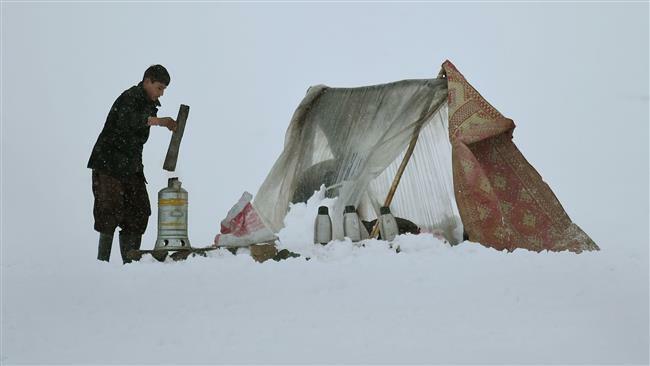 Iranian Foreign Ministry Spokesman Bahram Qassemi on Monday expressed sympathy with the Afghan government and nation over the death of people hit by cold spell. At least 119 people lost their lives following avalanches in Afghanistan triggered by heavy snowfall across the country in recent days. Afghanistan’s state minister for disaster management and humanitarian affairs Wais Ahmad Barmak said that at least 89 people had also been injured and 190 homes destroyed by avalanches in multiple provinces. Those figures were expected to rise as rescue teams made their way through isolated snow-blocked roads to afflicted areas where it is feared more people are trapped beneath the snow. The Afghan government, on Sunday, declared a public holiday due to the heavy snowfall across the country. Last month, heavy snowfall and freezing cold claimed the lives of 27 children, all under the age of five, in the remote district of Darzab in the northern province of Jawzjan. Each winter, heavy snowfall and avalanches kill scores of people in Afghanistan, where inadequate emergency equipment does not match the scope of natural disasters.